Most car accidents could have been avoided. The truth is, when many people are driving they fail to make complete stops or they may run through a stop sign altogether. If you were injured in an accident caused by a driver that failed to stop or yield then you are entitled to compensation by way of a personal injury claim. When approaching a stop sign, a driver is required to completely stop their vehicle behind the first line that they come to. If their tires were rolling and never completely stopped, then that is considered as failure to stop. Pedestrian accidents commonly occur as well when cars fail to stop or yield. Yield signs are commonly placed at pedestrian crosswalks. While there is no regulation to stop your vehicle completely, cars are mandated to slow their vehicle at a low enough speed to be able to notice when pedestrians are crossing the street. Even at stop signs and intersections, when cars do not completely stop behind the line, accidents can happen. If you were injured in any way by a driver who was cited for failure to stop then you have every right to file a personal injury claim. 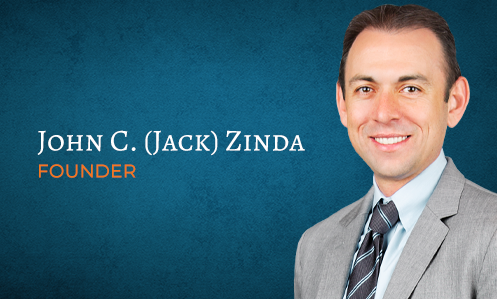 At Zinda Law Group, our traffic accident attorneys will be proud to represent you if you were injured by the negligence of another driver. Whether you were in another vehicle or a pedestrian, if you were injured in a car accident caused by another then you should come speak with our firm. We pride ourselves in being able to hold negligent parties accountable for their actions so that innocent victims can get their due compensation. Even if you are unsure whether or not you are entitled to a claim, you can't find out until you speak with us, so speak with a personal injury lawyer from our firm today.